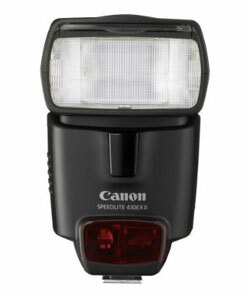 The Digital Picture has reviewed the Canon Speedlite 430EX II Flash. The 430EX II is upgraded with several things including 20% faster and silent recycle time. The Digital Picture ends up giving the Canon Speedlite 430EX II Flash a very good review as the reviewer can’t find any serious problems with the flash, but you might want to look at other flashes if you need more features for your photography style. Read the full review of the Canon Speedlite 430EX II Flash here.